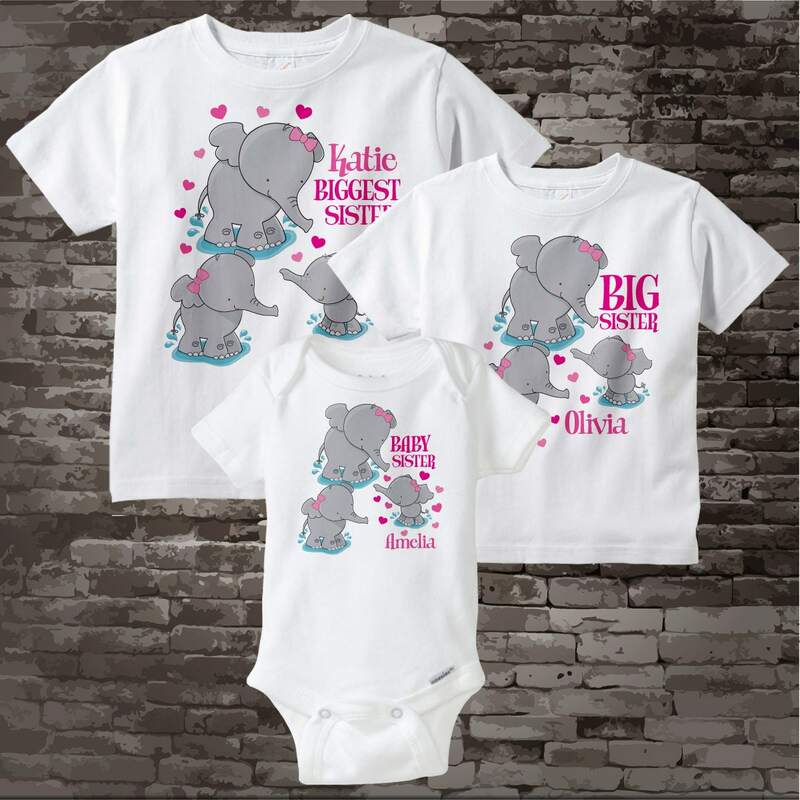 Super cute set of three shirts or Onesie are a Personalized Biggest Sister tee shirt, a Big Sister tee Shirt, and Baby Sister Tee Shirt or Onesie with cute little elephants. 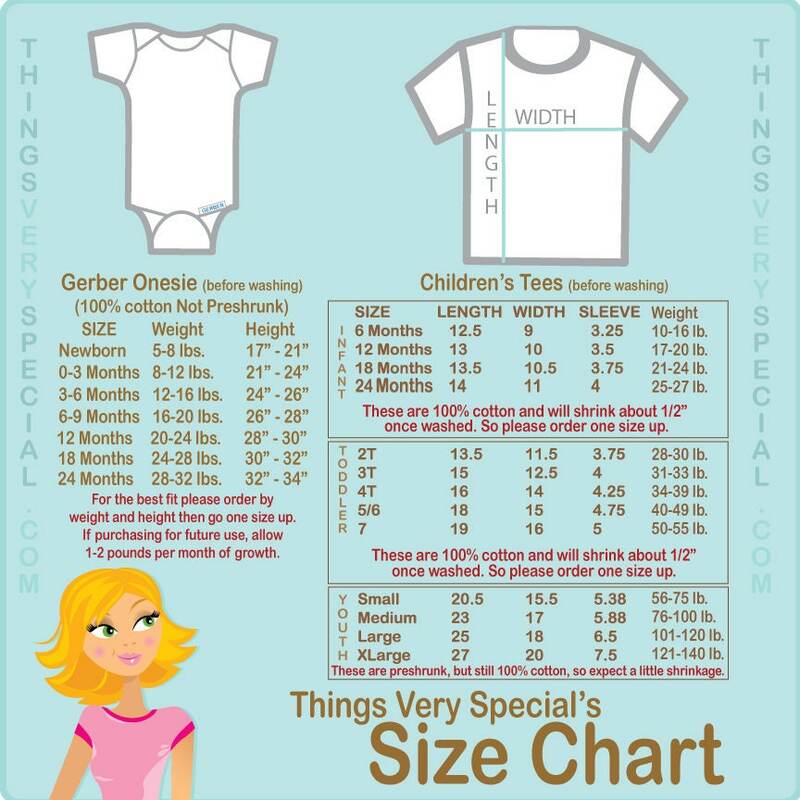 Infant tees are available in short sleeve only in 6 month, 12 month and 18 month. 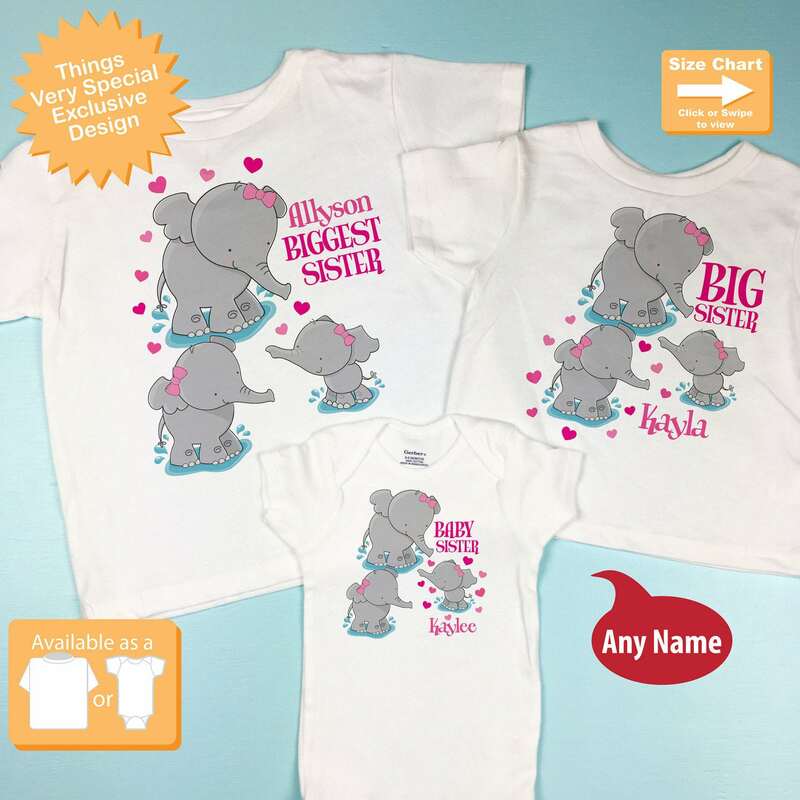 LOVE THESES SHIRTS THEY ARE EVERYTHING I WANTED! Shirts looked great, very pleased. Item was as pictured and seller mailed out quickly after order was placed!